It’s never been a better time to be PlayStation fan. PS4 consoles are still flying off the shelves, groundbreaking console exclusives like God of War and Horizon Zero Dawn are seeing regular releases, and few would disagree that Sony has won the current console generation. If you’re buying for the gamer in your life – or yourself – we have all the best Christmas gifts for PlayStation fans right here. For the gamer in your life who isn’t yet on the PS4 train, or could do with an upgrade to the more powerful PS4 Pro console, which unlike the PS4 Slim is able to upscale games into more detailed 4K resolution. This bundle packs in a whole terabyte (1000GB) of storage, perfect for downloading and storing all those new games, which can take up a good 40-50GB for big AAA titles. As part of the package, you'll also get the incredibly hyped Red Dead Redemption 2 – Rockstar Games’ immersive open-world Western. At £349.99 / $399.99 it's not the cheapest item on this list, but as one of the year's biggest games on one of the most powerful gaming consoles, there aren't many gaming experiences that can compare. What do you get the PlayStaton gamer who has everything? This Crash Bandicoot themed Christmas jumper puts a fun spin on usual holiday attire, combining the best of festive cheer with the novelty of Crash's contorted face on your torso. For maximum effect, couple that with the remastered Crash Bandicoot N. Sane Trilogy – or wait around for Crash Team Racing when it releases in June 2019. Sure, Sony weren't the first to bring a miniature retro console to market – you can look to Nintendo's NES Classic and SNES Mini for that – but this is the only one packed with gems from the very first PlayStation. There are a lot of big names missing, likely due to licensing issues and the recent remastered collections of Spyro the Dragon and Crash Bandicoot games. But for a PlayStation fan wanting to revisit the likes of Rayman, Tekken 3, Metal Gear Solid, or Final Fantasy VII, and some other lesser known titles from gaming history, this mini PlayStation console could make a fantastic gift under the tree this Christmas. This USB-powered PlayStation Icons Light turns the mundane shapes on your DualShock controller buttons into stylish lighting fixtures. Perfect for a bedside table or overhead shelf to look fondly down on your gaming setup. There are even three lighting settings: one standard, one that lights up individual shapes in a random sequence, and one that lights up in response to music – the last clearly made with those late night gaming sessions in mind. Buying for someone prone to long gaming sessions? This HyperX Cloud Revolver S gaming headset offers all-round comfort and capable sound for immersing yourself in games and movies. It's on the expensive side, but with the quality materials and performance to justify it – even if the microphone can be a bit fiddly to handle. Just the thing to elevate your gaming to the next level. Spyro! Incense! Merchandising! If you're after a neat novelty gift with a practical use, this could be the one for you. This Spyro The Dragon Incense Burner perches the loveable purple mascot on a stone pedestal with room for a small incense stick inside. It's not the sharpest-looking toy out there, but for the sake of seeing incense smoke blowing out of Spyro's nostrils, this Activision-approved product may be the one for you. These retro PlayStation coasters look just like those square plastic disc cases we used to love. With designs featuring Parappa the Rapper, Wipeout, Gran Turismo, and Destruction Derby, there's plenty of PS1 nostalgia to reminisce over while you sip a can of beer or mug of coffee. There's great attention to detail, while the coasters feature a high-grip felt on the underside to stop it from sliding around the table. Great as coasters or just to have on display. Why be content with your standard DualShock controllers? Controller Modz allows you to customize your own colors, patterns, and styles to get the controller you want, right down to the buttons or triggers. You'll quickly ramp up the cost with more than a couple of small changes, but the chance to . You can also add duplicate buttons, upgrade the internal chip for rapid fire or auto fun features, and even engrave a name or message along the touchpad. The best avenue for a player looking for some personalization. Nothing will strike fear into the hearts of your enemies like this adorable POP! figure of Kratos, from the bloody, hyper-violent God of War games. POP! make a stunning array of tie-in figurines across film, TV, comic book, games and geek culture in its own signature style. Big head, tiny body, and a whole lot of heart. 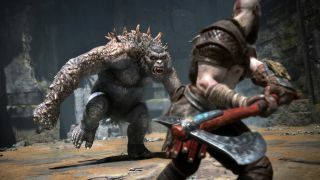 This year's God of War revamped the franchise with the maturity and narrative depth it had always been crying out for, and is one of the must-play games released for PS4. So whether you're buying for a God of War fan, or just someone with an eye for well-made toys, this Kratos figurine is sure to go down a treat.